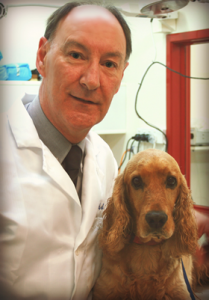 Dr Martin Reid has run this clinic since 1985; originally graduating Massey with Distinction in 1983, Martin developed a keen interest in the medicine and surgery of cats and dogs. 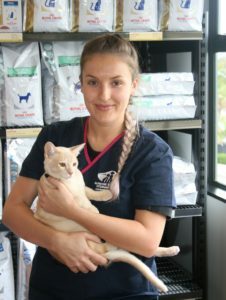 He had already developed a desire for animal health and welfare whilst completing an Honours Degree in Animal Physiology and Biochemistry at Canterbury University prior to attending vet school at Massey. 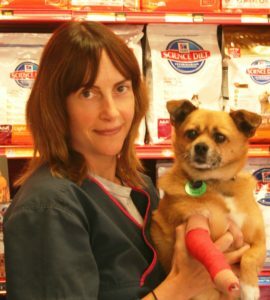 Continuing education is always a must in this profession and since those early days, Martin has also attained a membership of the Australian and New Zealand College of Veterinary Scientists; this membership can only be gained by examination and is open to veterinary surgeons determined to lift their standards of professional practice. In 2003 Martin attended the Slocum course of orthopedics in the USA to train for TPLO surgeries for which this clinic is now known. Martin has 2 Burmese cats and a Hunterway dog. Originally from Christchurch, Anna left university with a BA and a strong equine background to come to Auckland. She joined the practice over 12 years ago and has been running the show ever since. As chief surgical and dental nurse she runs the hospital looking after our intensive-care and post-surgical patients. Out of the surgery Anna enjoys running and motorcycling. After completion of her studies, Bex joined the team in early 2009 and has enjoyed further developing her skills throughout the years since. Her own pets include a black and white moggy by the name of ‘Buzz’ and a mischievous rescue dog ‘Rusta’. Occasionally she also takes on foster pets and returns them to full health before rehoming. Most Wednesday evenings you will find Bex running the Puppy Preschool at the clinic, something she thoroughly enjoys. In her spare time Bex enjoys travelling and various sporting activities including running, snowboarding, trail walking and more. Jorja started with us in 2017 after moving to New Zealand from her home in Sydney, Australia. As our primary receptionist she is the smiling face you often see when you walk into our clinic. 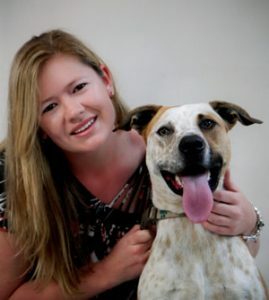 During her time with us she has gained a strong passion for animal health and welfare and enjoys passing on her knowledge to others in regards to the best care for their pe ts. Outside of work Jorja spends her time seeing as much of NZ as she can, or travelling home to Australia to spend time with her cats! Melanie is one of the originals here and is our specialist Saturday nurse. 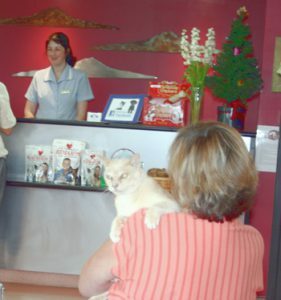 Melanie, whist completing her veterinary nursing course, joined us full time and became the principal receptionist. Melanie now works as a technician at our local animal diagnostic laboratory. In her spare time Melanie is also secretary of the Sheltie Dog Club.